Foreign investors are targeting China's ageing population as Western medical companies dash to fill the nation's demand for medical devices geared for China's 181 million senior citizens. Moving to tap into the potential market for medical devices aimed at treating seniors, US-based medical companies are investing millions into easing the aches and pains of old age. In September, Medtronic, a Minneapolis-based medical device maker paid $755 million (584 million euros) for Kanghui Holdings Inc, one of China's top three manufacturers of spinal support and artificial joints. 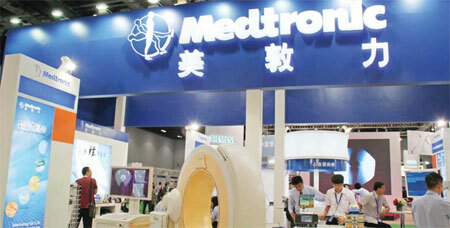 "The integration of Kanghui provides Medtronic a strong position in China's rapidly expanding orthopedics segment, as well as a high potential platform for the development of a global value segment in orthopedics," said Chris O'Connell, executive vice-president and president of Medtronic's Restorative Therapies Group, in early November. The takeover is the largest overseas acquisition the medical device maker has made as it targets growth in China's less competitive second and third-tier cities. With sales of orthopedic devices in China expected to increase to more than $2.7 billion by 2015, the move indicates how important China's senior market is for Western companies. Medtronics is just the latest in a string of US-based medical device companies investing to expand in China's commercial realm. Last year, Boston Scientific, one of the US' largest device-making companies, pledged to invest more than $115 million in expanding its commercial presence in China. In late October, BG Medicine, a US producer of cardiac diagnostic tests, formed a partnership with Kindstar Diagnostics Co Ltd, the largest esoteric diagnostic testing company in China. The move will grant BG Medicine access to more than 2,000 hospitals throughout China. The increased focus by Western medical companies on the China market suggests that as China's economy continues to expand, so does the desire to offer world-class medical treatment. For foreign investors looking to establish high-acuity medical care centers for seniors, having access to the latest in medical devices and procedures can mean the difference between success or failure. "Foreign investors that have their strength in senior care expertise know how to design, build and operate senior care facilities," says Qu Qun, a lawyer with Shanghai Co-Effort Law Firm and editor of China Senior Housing and Care Newsletter. "One of their biggest strengths compared with the domestic competition is their access to first-class technology used in senior care facilities and in-home care services." Qu estimates that the senior housing and care market will be worth 1.8 trillion yuan ($290 billion; 220 billion euros) a year by 2020 and 7.6 trillion by 2050 and that the money spent on devices geared toward assisting the ailing elderly is only beginning to grow. And as investors begin to renew their efforts to establish businesses in China, the timing for foreign medical device makers expansion could not be better. "There is no reason they shouldn't come and invest here," Qu says.